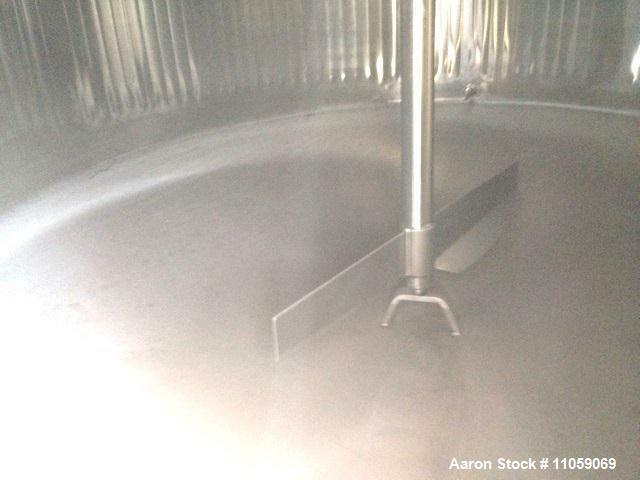 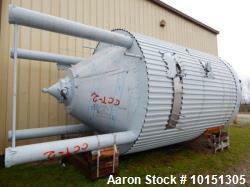 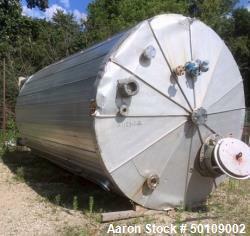 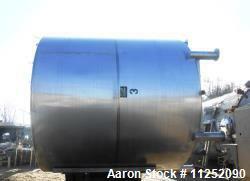 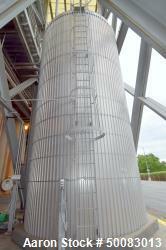 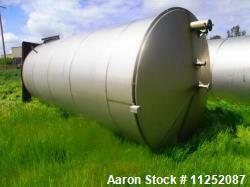 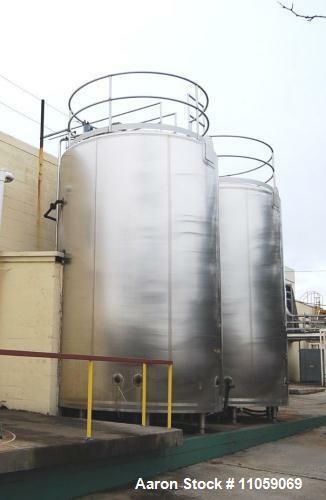 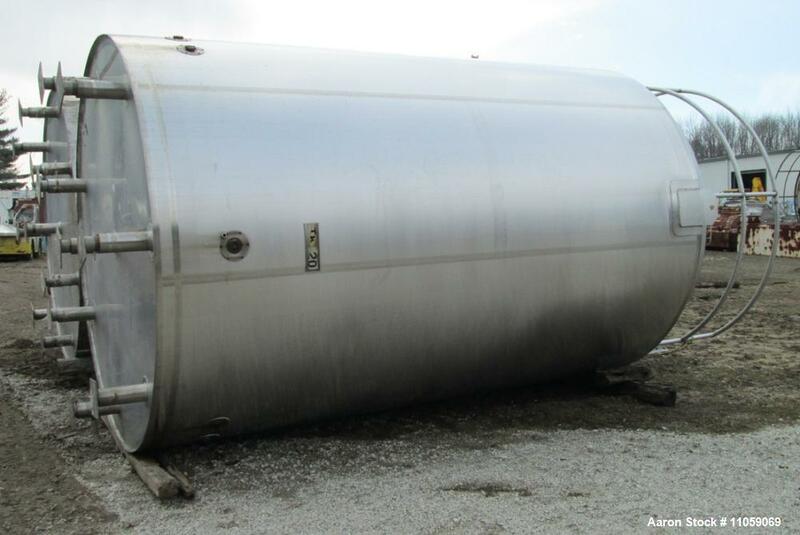 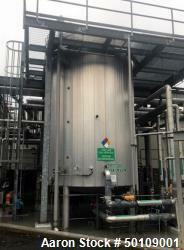 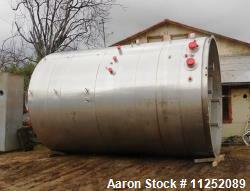 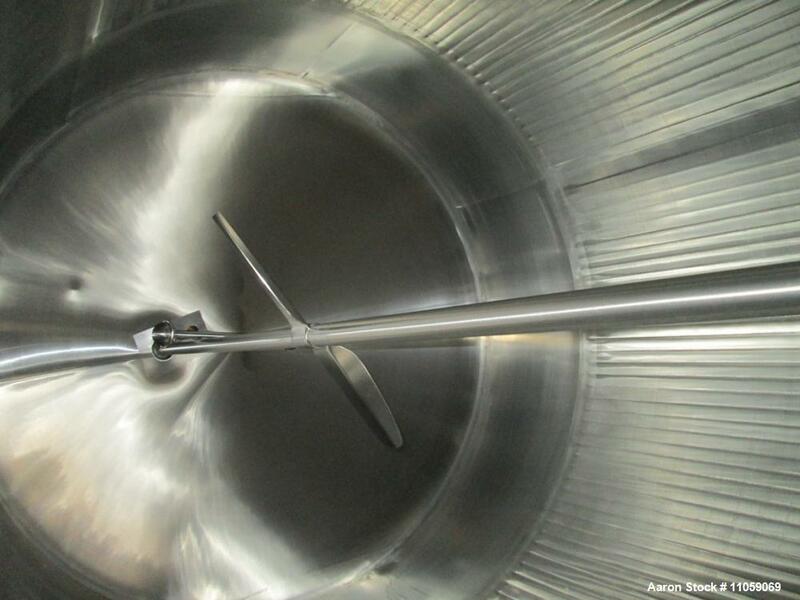 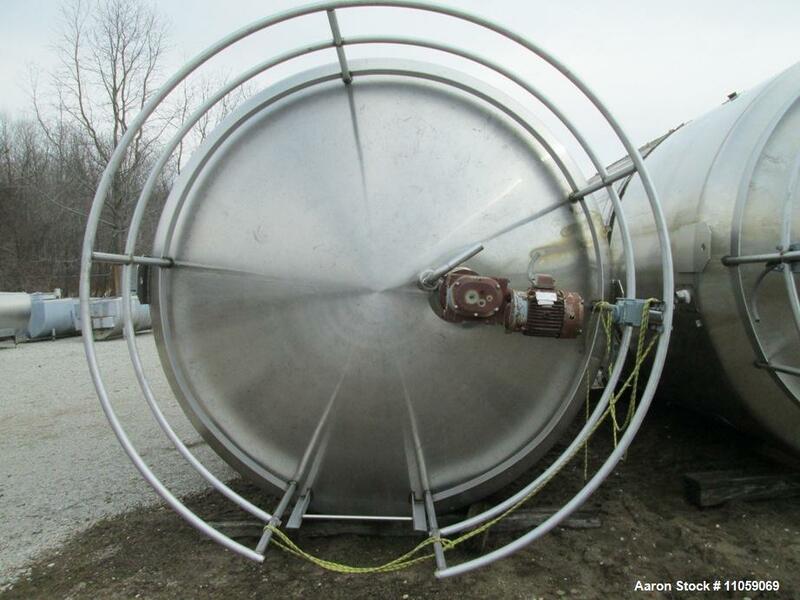 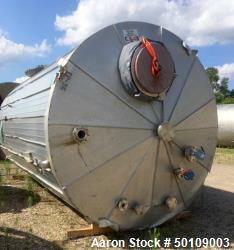 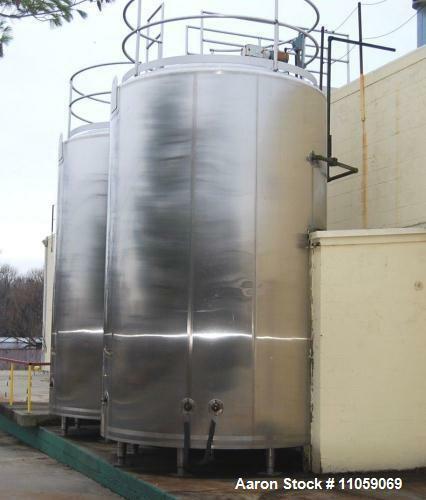 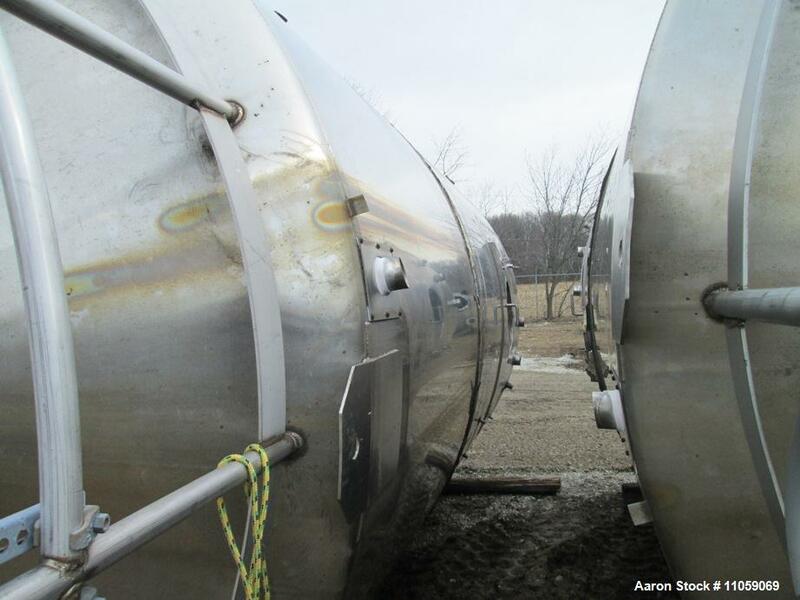 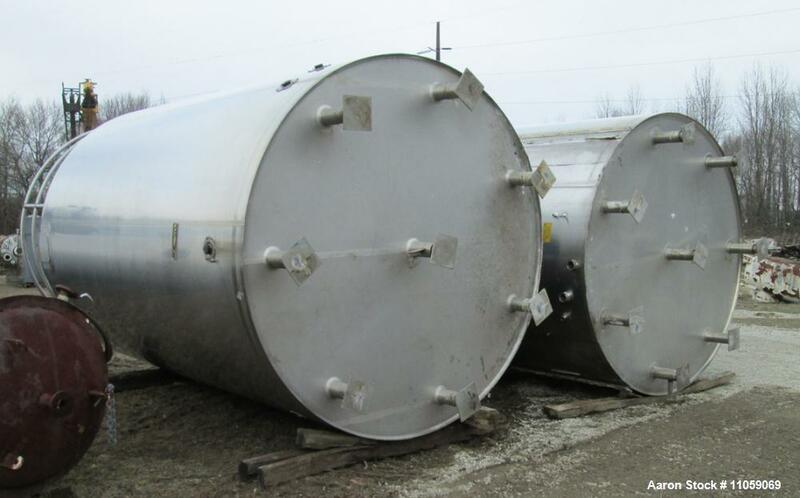 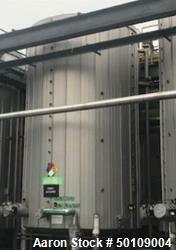 Used- Walker 6000 Gallon Jacketed Stainless Steel Mix Tank, Model VSHT. 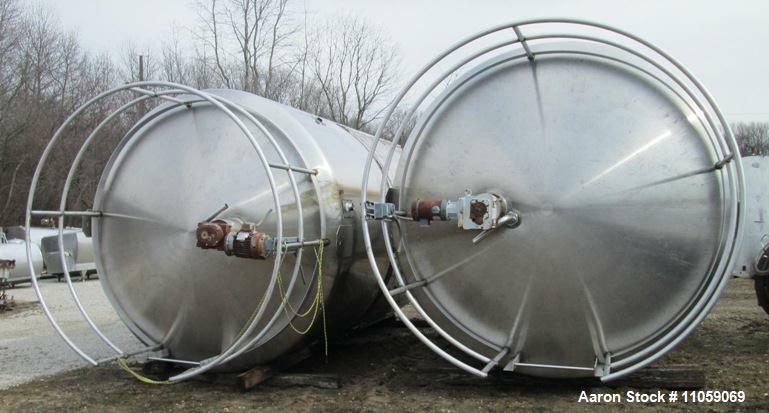 Dish Top and Slant Bottom. 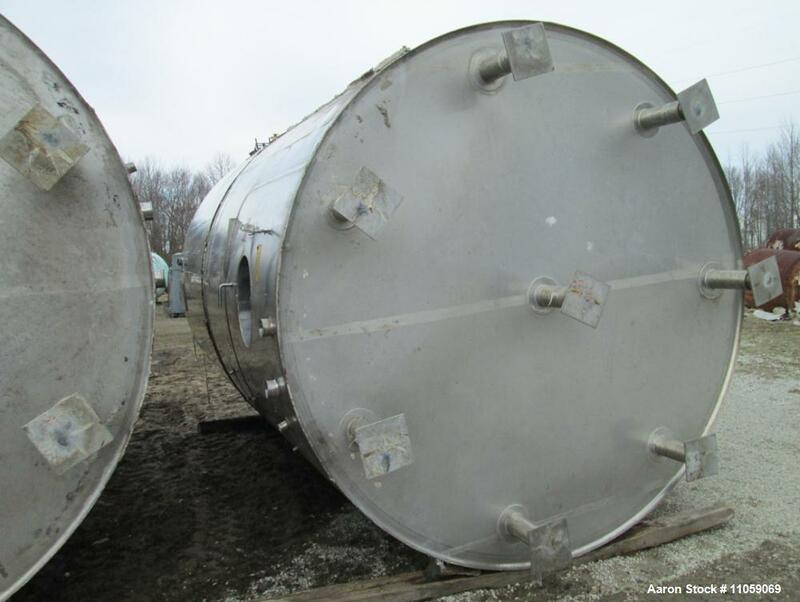 Sanitary Construction. 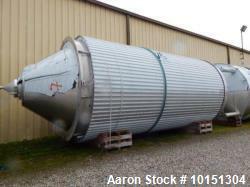 Approximately 8' 11" ID x 14' Straight Side. 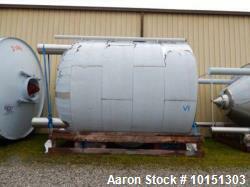 Jacket rated 150 PSI. 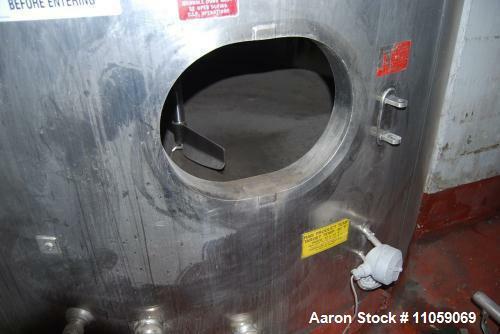 Jacket Surface Area is 192 square foot top entering mixers. 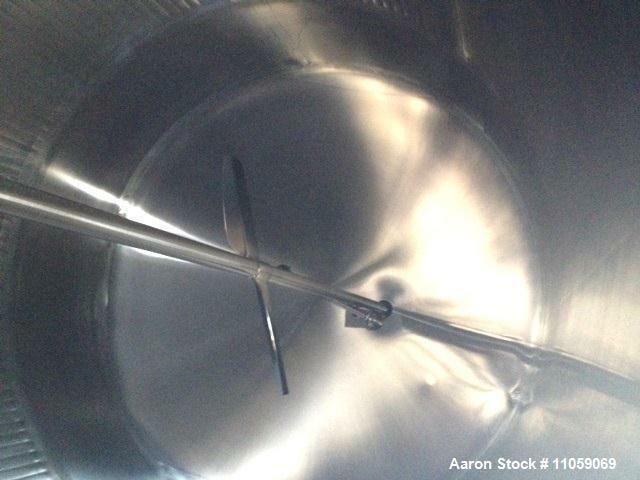 3/1.5 HP Agitator, single shaft with impeller and bottom bearing support. 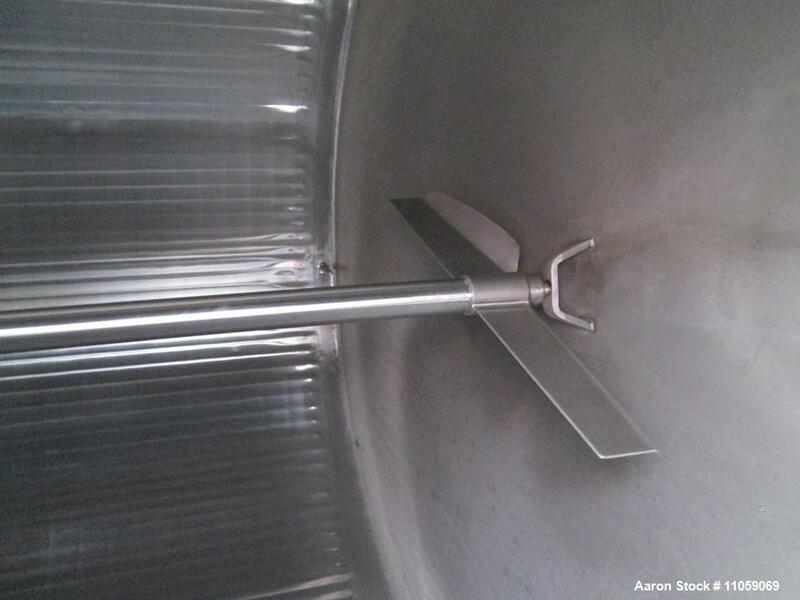 3"end bottom outlet.16" X 20" man-way, 3" top opening.